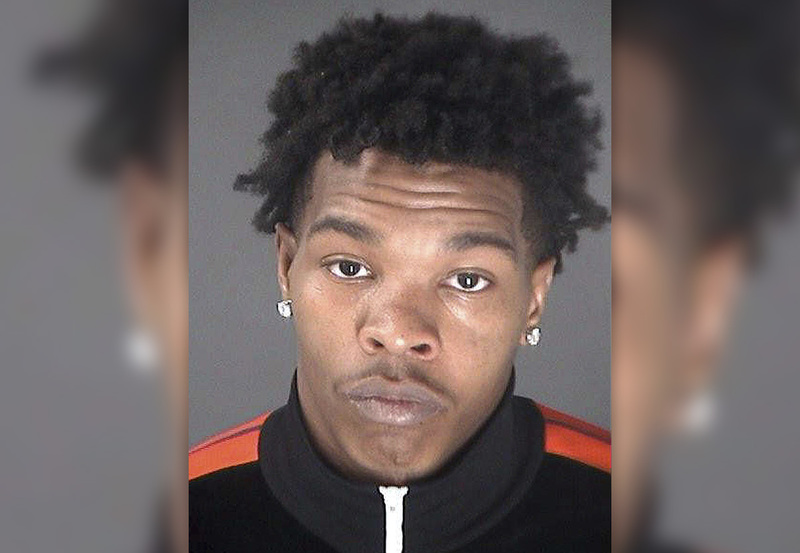 Lil Baby posed for a brand new mugshot after he was arrested by the Georgia State Patrol Thursday (Feb. 7). According to local news reports, the 24-year-old Atlanta-based rapper—whose real name is Dominique Jones—was charged with failure to use a turn signal, reckless driving and fleeing or attempting to elude police. 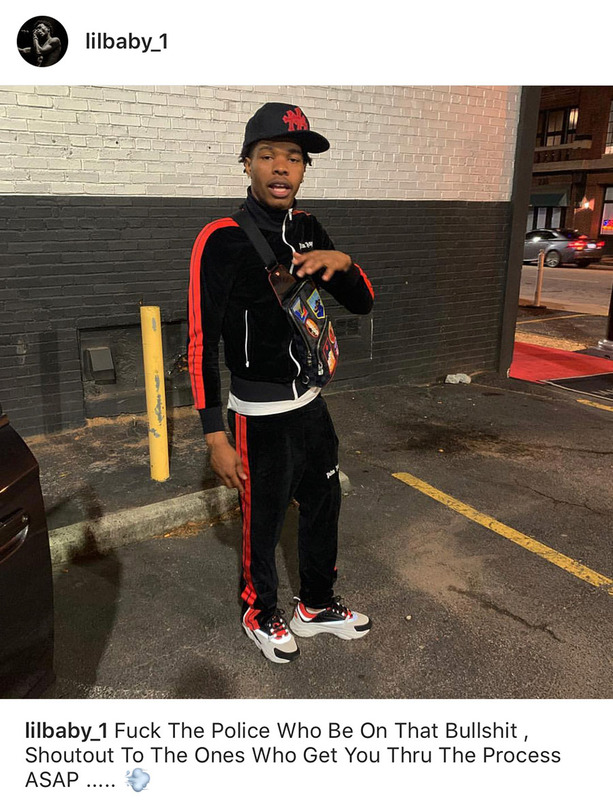 Police said they spotted Lil Baby driving his orange Chevrolet Corvette just around 6 p.m. and they observed him failing to signal as he changed lanes. When they caught him at a red light, troopers said the rapper sped off and passed through traffic in a reckless manner in a high-pedestrian area. Lil Baby didn’t stop trying to evade police until he got caught in heavy traffic. When the trooper approached the rapper’s vehicle, he complied with the officer’s orders and laid on the ground. A viral video taken by an eyewitness shows the “Drip Too Hard” rapper lying on the ground and being handcuffed. He was booked into the Atlanta City Detention Center and bonded out that same night. As soon as he was released, he hopped into a white Porsche that was outside waiting for him, AP reported. This isn’t the Georgia-born rapper’s first run-in with the law. He was charged for possession with intent to sell along with other charges in 2012. He was placed in a special program for a year, but after he got into a fight, he was given two years.